SCOTTSDALE, Ariz. - USTA Southwest’s governing Board of Directors announced today that Eric Mitchell has been promoted to the position of Executive Director. 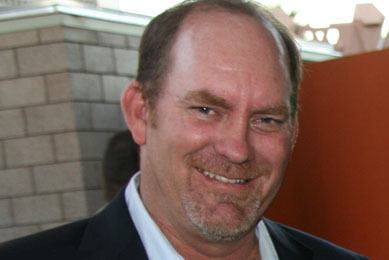 In Mitchell’s new role as Executive Director he will be responsible for managing all USTA Southwest staff, overseeing and planning the Section budget, implementing the Strategic Plan, developing grass roots programming at all levels, and carrying out the direction of the USTA Southwest Board of Directors and USTA Southwest committees. Mitchell is well positioned to assume his new role with USTA Southwest, having been with the Section for 12 years (since January 1999) as Junior Competition Manager. He also served as a co-interim Executive Director during the selection process for the position. Prior to his employment at USTA Southwest, Mitchell was a teaching pro, clinician, National Tennis Rating Program (NTRP) verifier and worked for the USTA Central Arizona District. Mitchell was formally announced during the USTA Semi-Annual Meeting in Naples, Fla., which is being held March 31-April 4. At 40 years old, Mitchell is the youngest of the 17 USTA Section Executive Directors across the nation. “I’m looking forward to working with the Southwest tennis community in an entirely new and different capacity for me,” said Mitchell, who begins his role on Tuesday, April 5 after returning from the USTA Semi-Annual Meeting in Florida. Mitchell can be reached at mitchell@southwest.usta.com and currently at 480-289-2351 x. 107 (though that number will change to x. 102 on April 5).